B&M is dangerous, let me just put that out there. You go in for one thing and come out having spent way more than you expected - on things you didn't even need. There's a huge store in my local town at university, I can't not go and have a nose every now and then. 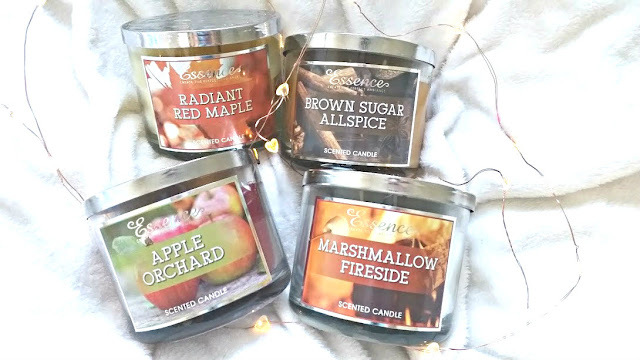 Essence candles have recently been doing their rounds on the web as they are duped to be like the infamous bath and body works candles. Falling for the hype I only went and bought 4 didn't I! Excessive but they were the last on the shelf and who knows if they'll have any in stock again. The packaging is just like the US candles, large glass jar, label on the front and a a couple of wicks inside too. The main difference however is the price, these are £2.99, a fraction of the ones you can buy in the states and for those of us in the UK the closest to them. I've tried and tested all four of these to give you my full opinion on them and let me tell you, they are incredible. Apple Orchard was the first one that I dived into, its a crisp apple and spicy scent that fills your house immediately. Similarly, Brown Sugar Allspice is another spicy scent that seems to work perfectly for this time of year. I've been loving lighting these on cold nights, it warms up the room and makes it smell amazing before you go to sleep. Then there is the two sweet scents, Marshmallow Fireside is a cult scent for any candle company. Yankee do a similar one which is amazing in tart form as it lifts your spirit and this two wick works just as well. Marshmallows don't really smell of anything, but this smells more of them being toasted/a bonfire to get you in that cosy mood. Of the four, my favourite has to be the Radiant Red Maple. There is just something about this Canadian inspired scent that smells out of this world. Its rich, sweet yet subtle and makes me want to cook pancakes, watch films and wrap up warm. All in all, hats off to B&M who have created a brand of candles that aren't cheap and cheerful they are cheap and great quality. For £2.99 you really can't go wrong and here's hoping they bring out more to the range! 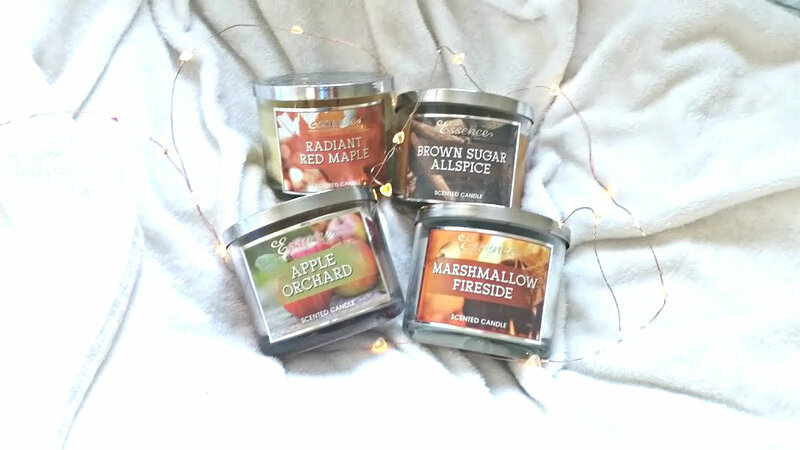 Have you had a chance to try these out or any other candles?